Have you ever had your preschooler lose their temper and slam a door or refuse to come when it’s time to leave the park? Preschool children develop habitual responses to daily events. Use these simple preschool parenting tips to create good habits in your kids. Preschoolers are not mind readers, and they’re also very inexperienced in living. They also want to be good. Sit down with your child and explain exactly what you expect them to do. I try to be proactive and talk to my preschoolers before we leave the house. “Honey, we are quiet in the library. We don’t run in the library. We walk.” Then I ask my child to repeat my expectations. This simple discussion can take a few minutes, so be patient with your child. Also when you have problems, talk with your kids afterwards. Discuss what happened before telling your children how you want the situation handled next time. Then have the kids repeat your instructions again and again and again. Drilling is wonderful! I’m certain you’ve heard the phrase Practice makes perfect or Perfect practice makes perfect. Preschoolers need to practice how to behave. They need to practice shutting the door instead of slamming it. Kids need to practice walking indoors instead of running. Do overs are very simple. When a child slams the door, walk back to the door and have your child practice opening and shutting it several times properly. If your kid runs in the library, walk back to the door and practice walking in the library. If your child shouts, repeat the phrase in an appropriate tone of voice. Give your child time to develop the proper habits. Let them practice good behavior until it becomes instinctive. “Yes, Mom” is a set of magic words. Once preschoolers say them, they stop fighting your instructions. For instance my kids loathe leaving the park. They’ll beg for another minute, ask for another turn down the slide, or simply run off to the swings. Over the years of raising six children I’ve learned to teach my children to say “Yes, Mom.” No, I don’t require them to run to me when I say it’s time to go. Instead they’re only required to say, “Yes Mom.” The funny thing is those two little words end the fight. The kids sigh, look discouraged, but once they’ve said, “Yes, Mom.” I don’t have to deal with fits. They’ve verbally agreed. Eventually my kids learn to cheerfully say, “Yes, Mom!” They’ll run to me, and we’ll leave the park without tantrums, chasing, or screaming. These three parenting tips won’t solve all your parenting woes, but they will teach your child what type of behavior you expect. 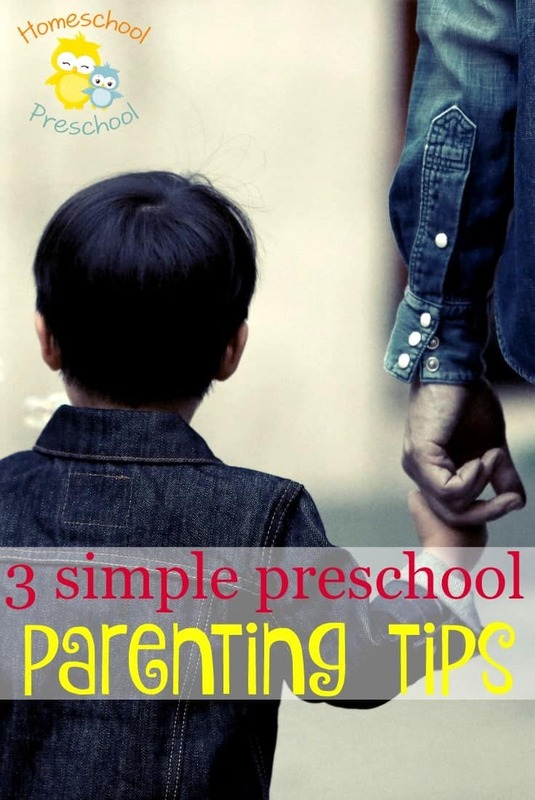 What is your best preschool parenting tip?